I have to be honest – I couldn’t wait to read Burial Rites by Hannah Kent. Published in 2013, the book centres on the last few months of the life of Agnes Magnúsdóttir, the last woman in Iceland to be executed. It is an imagining of those final weeks and days, when Agnes lived with a farming family until spring came and, with it, her death. The historical setting and subject matter appealed to me, though, as is sometimes the case when so looking forward to a book, I was wary of its being a disappointment. It was not. 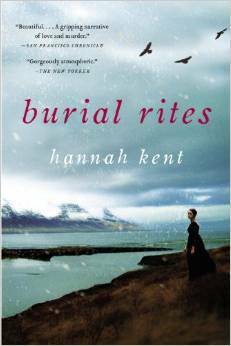 Burial Rites is terrific: evocative, powerful, tear-jerking, and sorrowful. They said I must die. They said that I stole the breath from men, and now they must steal mine. I imagine, then, that we are all candle flames, greasy-bright, fluttering in the darkness and the howl of the wind, and in the stillness of the room I hear footsteps, awful coming footsteps, coming to blow me out and send my life up away from me in a grey wreath of smoke. Similarly, members of the Jónsson family, with whom Agnes spends the winter before her execution, are sympathetically portrayed. The awkward dichotomy of love-filled resentment between the sisters, Steina and Lauga, is captured in lines such as these where Lauga scolds her sister for leaving an important guest waiting: “ ‘I can’t think of what goes through your head sometimes, Steina,’ ”. The mother, Margrét, who initially resents the intrusion of Agnes, comes to love the unclean, unkempt convicted criminal in her home. There is also the suggestion that Agnes is innocent, or certainly misunderstood. The naïve sympathy portrayed by Toti Jónsson, the local churchman tasked with tending to Agnes’s spiritual needs and readying her for death, is eventually felt by other characters in the story, and by the reader, too. This reaches a crescendo at the end of the novel, when Agnes is taken to her place of execution. Kent portrays the act in brutal, raw language. Agnes soils herself as she goes out to her death and has to be helped from her horse. She has to wait some distance away while her co-convicted is executed. Kent portrays sympathetically and convincingly the agony this wait causes, and the reader is already so wrapped up in Agnes and her woeful tale that they feel the agony for her. Burial Rites is a beautiful book. The sort to return to again and again. Rebecca Burns is an award-winning writer of short stories, over thirty of which have been published online or in print. She was nominated for a Pushcart Prize in 2011, winner of the Fowey Festival of Words and Music Short Story Competition in 2013 (and runner-up in 2014), and has been profiled as part of the University of Leicester’s “Grassroutes Project”—a project that showcases the fifty best transcultural writers in the county. 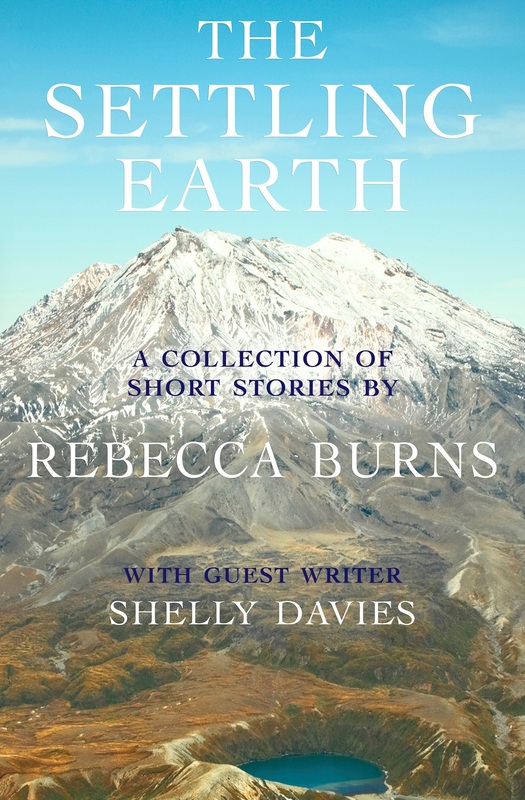 The Settling Earth, Rebecca’s second collection of short stories, was published by Odyssey Books on 16th December 2014. Her debut collection, Catching the Barramundi, was published in 2012—also by Odyssey Books—and was longlisted for the Edge Hill Award in 2013. My only criticism of this review is that it kind of gives the end away! When I read the book I was pretty certain, 95% that Agnes would die but there was that small element of doubt – this review takes that away from anyone who hadn’t read the book yet. ‘Burial Rites’ appeals to me. Must read. Great review! Burial Rites is an amazing book–somehow gorgeous and shot through with clarity even in its most raw and devastating moments.